In Enterprise, Solr is primarily used in Content Station. 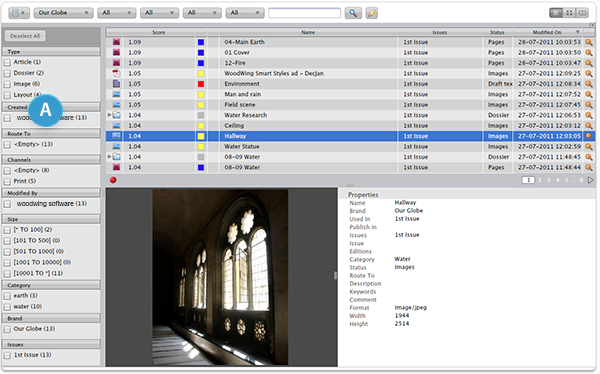 Figure: The Search tab in Content Station, showing the Solr facets on the left of the screen (A). Solr runs in a Java servlet container such as Tomcat or Jetty (included in the Solr distribution download).